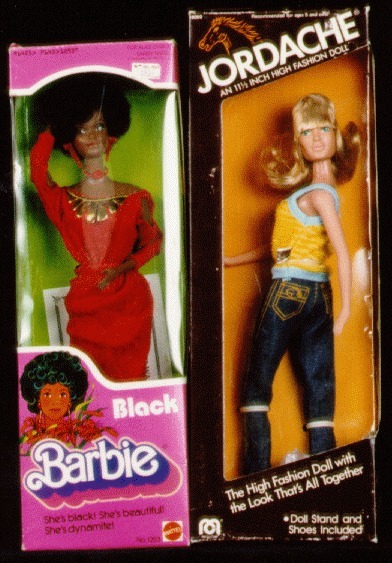 On left, "Black Barbie, Mattel, 1980." The first time Mattel manufactured a "Barbie" (not Barbie's friend) who was black. On Right, Jordache doll by MEGO, 1981.